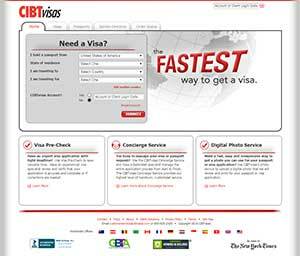 CIBT, Inc. is one of the lead passport expediting services that is currently operating in the United States. Over the last 50 years, the organization has grown from a small regional enterprise to one that operates on a national scale. In the last 50 years, CIBT, Inc. has expanded its user base by purchasing many smaller companies like American Passport Express, Accelerated Passport and more. CIBT, Inc. is notable for having field offices located in not only major cities within the United States, but also countries in Europe and even Canada and Australia as well. If you’re getting ready for a big trip abroad and suddenly find that you need to renew your United States passport, apply for a new one or more, CIBT, Inc. is here to help. USPassportHelpGuide.com learn about us! We are a privately owned organization that simplifies government-related passport information across all states. We created this mega-resource not because we love getting a passport, but because we grew tired of standing in long lines at the passport agencies. We also want our users to focus on traveling the globe not loosing hair. IT IS A PRIVATELY OPERATED WEBSITE PORTAL FOR INFORMATIONAL PURPOSES ONLY. Copyright 2019 © www.uspassporthelpguide.com. All Rights Reserved.